The first generation Boxster was Porsche's first road-going mid engine car since the 914 and as such was bestowed with fantastic handling, grip, steering, controls; truly a sublime car to drive with gusto, particularly in the faster "S" trim. This next example takes the excellent chassis and shoves an all-alloy 'Murican V8 behind the rear seats. Expect excitement. 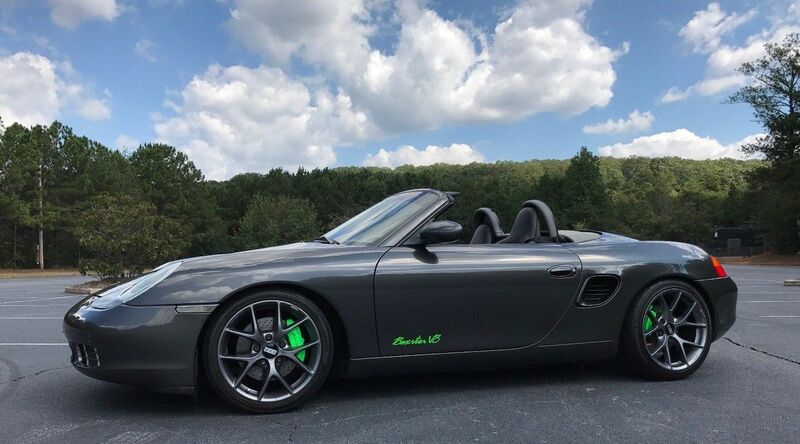 Find this 2000 Porsche Boxster S here on eBay offered for $35,000 buy-it-now or make-offer located in Marietta, GA.
Chevy LS376/480 crate motor w/ "hot cam" conversion with 480 horsepower! Thanks for checking out my car! If you want something unique then you've found it!! I've built and documented it over the last 3 years and believe it to be the best sorted Boxster V8 conversion out there. Mechanically everything but the transmission, alternator and A/C compressor have been replaced or upgraded to new and those items are in perfect working order. The convertible top has been upgraded with a glass rear window, is in good overall condition and operates properly. Clean Carfax with no accidents, still has its' original paint which shines up very well. 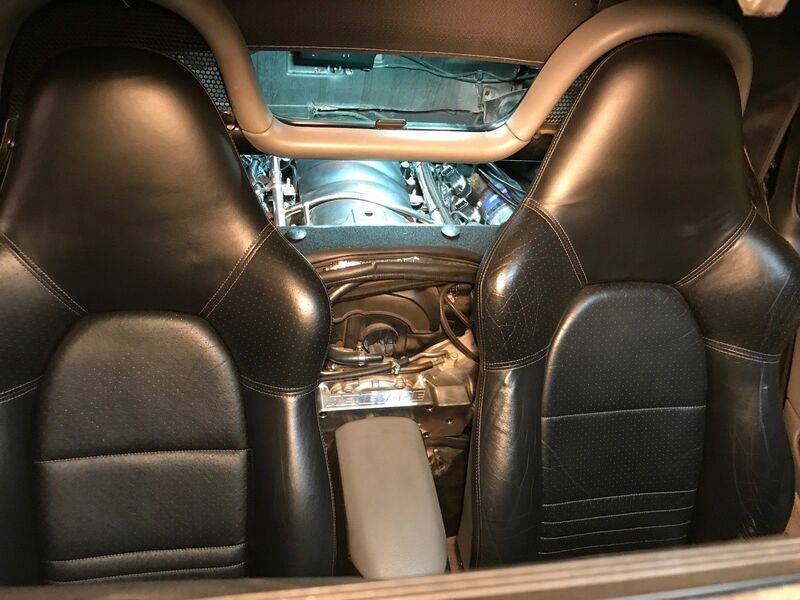 Seats were upgraded to Porsche sport seats in black and have typical bolster wear on the drivers side and some water spots but are in good overall condition with no tears. Nice conversion, great shape. But I wonder how much power the stock Porsche manual trans will take before it grenades and starts guzzling your wallet? I've seen a lot of Porsche fans debate about what the best fix for the IMS bearing issue is. This should settle the question for good. Almost 500HP in a car under 3000lbs should be wild! I like it! As outlandish as it is, it is also pretty freaking cool. How much more does the American lump weigh compared to the stock engine? Physics being what they are and all. Polar moment dominates handling approaching and matriculating turns, so the added weight might not make that big a difference for track days. I'm also always surprised by the purported weight differences of these swaps as they are always less than I expect. From what I have read- there might be less than 30 lbs between the two- the LS3 (aluminum heads & block) weighs in around 418 shipping weight (dry)- So I really don't think you can call it an "American Lump!" Beautiful and energetic delivery. Strong engine, I love this car. Welding on the green intake pipe? ?